Get used to it, but I'm going to be telling you often that director James Wan (Saw, Insidious, The Conjuring) is an absolute MASTER of horror. Just like in The Conjuring, he teases you with the stereotypical horror tactics that we've all seen in other horror films. Then he throws you a bunch of curve balls so you'll never really know what to expect. To make things even scarier, he even has the characters in the movie do what you or I would probably do in their situations. For example, if you saw a ghost, you'd probably run, right? I know I would. 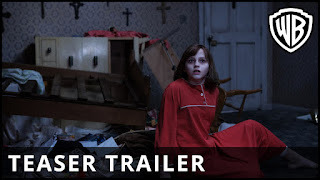 If you're a fan of James Wan's other work, then you may also catch on to the fact that there are a lot of similar themes that the movies share. The rules in his "horror universe" are almost the same. This is 100% me simply nitpicking, but I was a little disappointed by the final moments of the movie. I've seen a ton of exorcism movies, and I thought that the final wrap up was a tad bit rushed. 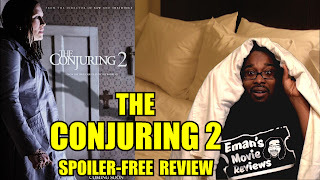 If you liked Insidious 1 or 2, or the Conjuring (review), then you’ll enjoy this. I think it’s fair to say that this will probably be the best horror film for the year. Did I already mention that James Wan is the MASTER of horror? Honestly, I just don't think there's much of a comparison for another director in this decade. Just like in one of my previous horror reviews, I do want to clarify the difference between "scary" and "Creepy". "Scary" means that it will have moments that shock you with jump scares. "Creepy" is all about the overall feeling and atmosphere that sticks with you well after the movie is over. Many horror films today simply don't find a nice balance between the two, or they just pile on a bunch of blood and gore to overwhelm you. James Wan, in my opinion, transcended even himself by blending creepy and scary even more than before. 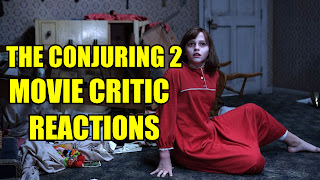 I think that the Conjuring 2 is more than worth the watch and is a "Must See"in my book. I’ll tell you this, I’m not going to London, I don’t like nuns anymore, and I will never buy my children a fire truck.